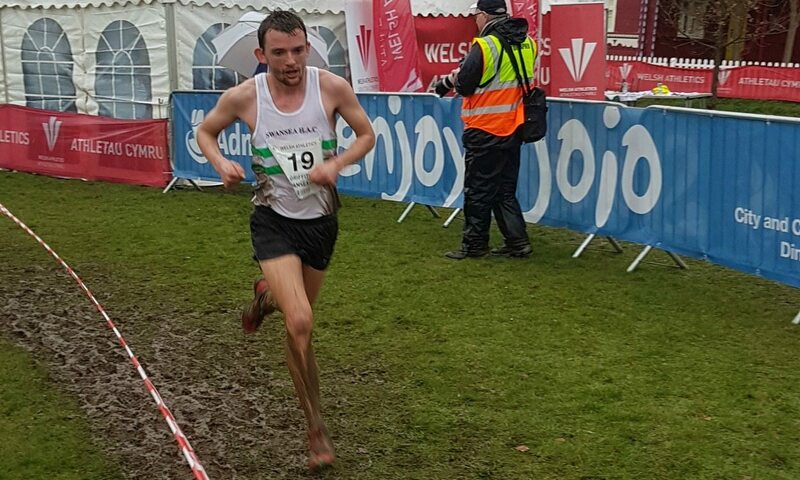 Dewi Griffiths secured a record sixth consecutive Welsh cross-country title at a wet and windy Singleton Park on Saturday, reports Alex Donald. His emphatic victory took him a step closer to Steve Jones’ record of nine titles. Behind Griffiths, the silver medal went to Ryan McFlynn of Mickey Morris Racing Team with Iolo Hughes of Sale Harriers taking bronze. Griffiths also led his Swansea Harriers team to a dominant win in the team category. The women’s race saw a first title for Beth Kidger of Brighton Phoenix ahead of pre-race favourite, Clara Evans, competing for Pontypridd Roadents. Lucy Marland was third, leading her Cardiff AAC team to take the title away from defending champions Swansea Harriers. There were under-20 race victories for Ciaran Lewis and Cari Hughes in the junior men’s and women’s races respectively.